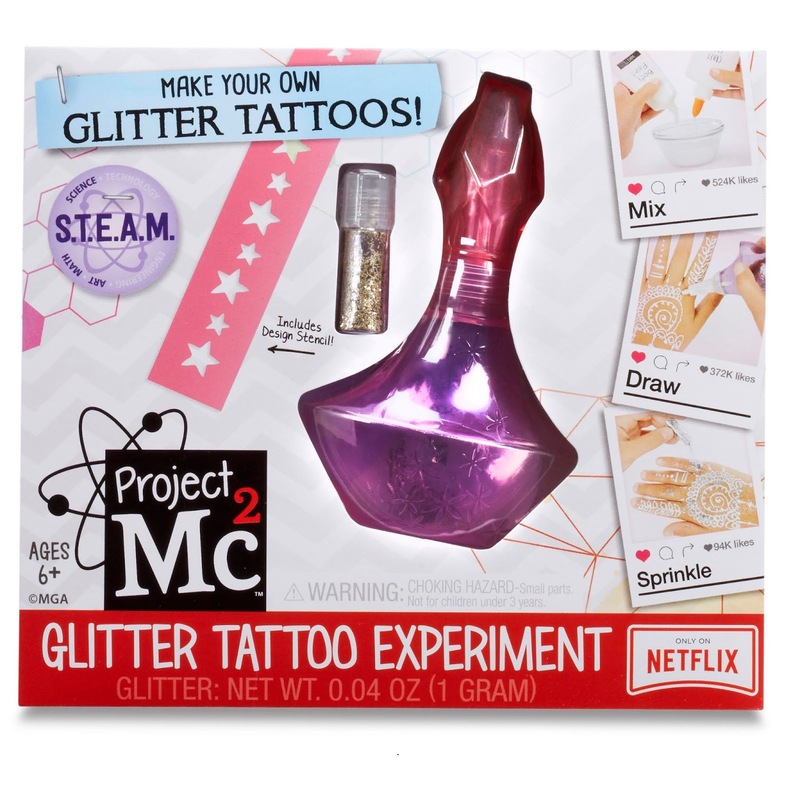 Walmart has the Project Mc2 Glitter Tattoo Experiment on sale for $9.99 (regularly $19.99). Make your own glitter tattoos using household items again and again. 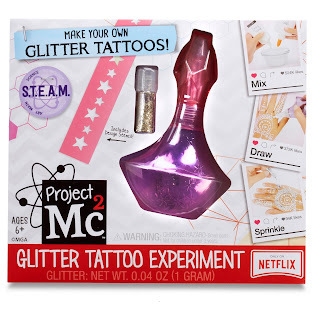 About the experiment: Your henna-style glitter tattoo mixture contains two main items body paint and washable school glue. Body paint provides the color. Washable school glue, which is made of molecules called polymers that are like long chains of paper clips, provides stickiness. The cornstarch helps the tattoo dry by sucking up moisture. It also puts a coating on your tattoo design so it doesnt easily stick to other things!